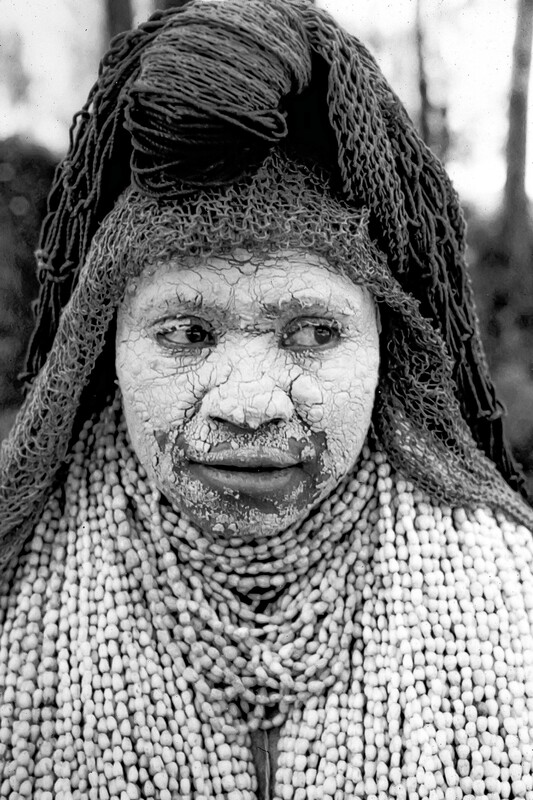 Papua New Guinea, Mendi Widow, 1983 - This woman, following the tradition of her Mendi people, put on 365 strands of kunai beads when her husband died. Each day she would remove one strand. Thus, her mourning would last one year, after which she would be free to marry again.